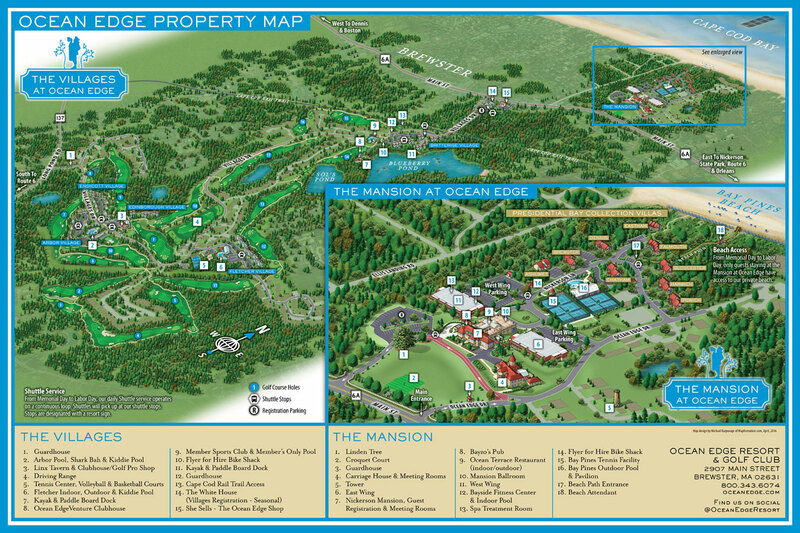 Ocean Edge Resort & Golf Club is an upscale, family-friendly hotel, located on the Cape Cod Bay. It’s split into two distinct areas: The Mansion, a Victorian-style building that’s listed on the National Register of Historic Places, and The Villages, a collection of cozy villas that are steps away from golf, kayaking, and more. Samuel Mayo Nickerson, a descendent of Cape Cod’s Puritan settlers, constructs Fieldstone Hall on a 48-acre parcel of land for his son, Roland, and his family. After 15-plus years as the hub of Brewster’s social scene, Fieldstone Hall mysteriously burns down. The loss of the home leaves Roland Nickerson destitute; he would die of illness two weeks later. Aided by Samuel Nickerson, Roland’s widow, Addie, began construction of a new residence on Fieldstone Hall’s original foundation. The new house — complete with soundproofing stucco, Italian marble fireplaces, and fine woodwork — is completed. The Nickerson family sells the mansion to the LaSalette religious order, which then converted the property into a seminary. Real estate developer Corcoran Jennison purchases the mansion. The Ocean Edge Resort and Golf Club first opens its doors. Renovated and restored to preserve its historic character, the property is now recognized as one of the finest hotels on Cape Cod.